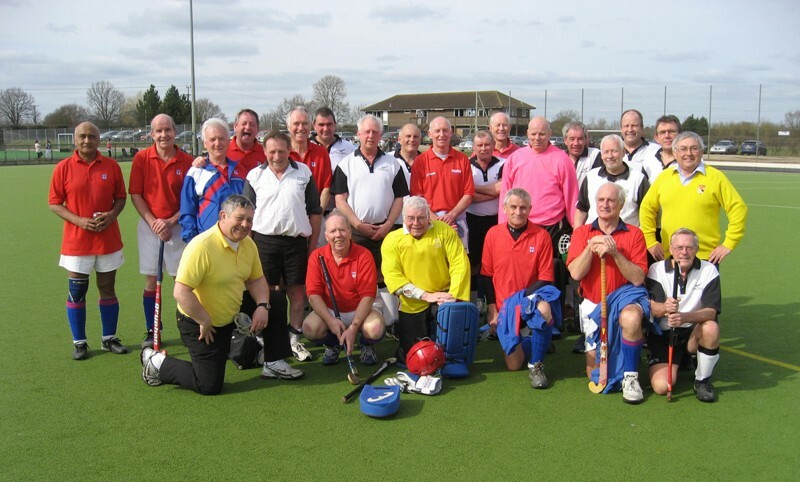 A cheery LX Club group gathered in the Spring sunshine to play in what is probably one of the most long-standing LX Club fixtures; even John Gordon’s shades, who came along as a potential substitute, were glinting in the sun, as the team savoured the forthcoming match. Tony Williams had again assembled two well balanced sides, and early pressure from the Magpies brought some steely defensive performances from Gurney White, whose interceptions and clearances were impeccable throughout the whole game, and Alan Dures in goal. Eventually the skilful midfield trio of Mick O’Malley, John Grinham and Sudesh Nayar started to staunch the probing runs of Les Howlett and Peter Finnie, with LX making some excellent attacking movements. This particularly involved Tony Williams on the right wing, enjoying himself against his home Club team, and Brian Woolcott teasing the opposition’s defence with some intriguing runs. Rick Williams, for LX Club, received an excellent cross from Tony Williams, and the former clipped the ball smartly into the opposition’s goal. Throughout the game Graham George gave an excellent performance marking one of Harleston’s best players, whilst still distributing the ball skilfully to his fellow forwards. After half-time LX made a few tactical changes to the forward line, John Grinham, dominated at centre half, eventually slotting a precision pass to Graham Martin, who took his goal with consummate ease. LX was then perhaps slightly fortunate to be awarded a penalty stroke, which David Brampton converted in highly deceptive style. The game ended with a 3-0 win to LX Club, bringing the aggregated fixtures results to five wins each and three drawn games. To complete an enjoyable day Magpies laid on their usual superb buffet and desserts, all prepared by Sue Williams and friends, with further hospitality provided by the Harleston players. Vaughan Dearling and Graham Ramm umpired to their usual high standard, and Graham nominated LXer John Grinham as ‘Man of the Match’. Final thanks go again to Tony Williams, the LX Match Manager, for this traditional fixture, which was well supported by the wives and partners of both sides. LX team: Alan Dures, Gurney White, David Read (Captain), Mick O’Malley, John Grinham, Sudesh Nayar, Tony Williams, Rick Williams, Graham Martin, Graham George, David Brampton, Brian Woolcott.